Those who are new into designing voice user interfaces often find themselves unsure of creating something efficient and worthwhile. User Interfaces are the medium of interacting with users. They need to be good enough to stand the expectation of users. There are certain conventions regarding the designing of interfaces that help in designing an effective interface. Interaction of users with voice interfaces is very much different from the way they interact with graphical ones. Those who are into designing voice user interfaces need to be aware of the requirements of the field. But due to the lack of proper guidance, many of them land themselves in a mess while trying to design a voice interface. 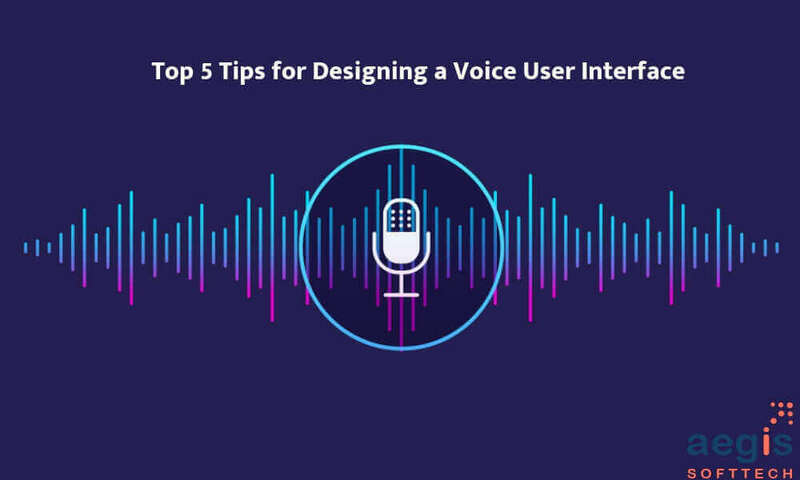 This article shares an effective way to suggest some tips to consider while designing a voice user interface. Voice User Interfaces-What are they? The term has become quite common now. Voice User Interfaces have been successful in expanding their kingdom all over the world. They are in phones, televisions, smart homes, and where not. The advancements in smart home technology are leading towards more and more use of voice interfaces. In some products, they are provided as an option while in some they are the only way to interact with the product. The products that have them as an option use graphical interfaces otherwise. Although there is no proper definition of these interfaces, these interfaces are believed to listen to the user's request, process it, and provide the result accordingly. It's like interacting with the computer, just the medium or way of interaction has changed. Humans consider speech as a fundamental means of communication. Despite having various ways to communicate, speech is known to be an effective one. So, software application outsourcing technologies were also developed with an aim to let users experience the best of communication with products. Voice User Interfaces have made this possible and are surprising the world with the way they process peoples' requirements. The below tips are to make people aware of the ways in which they can design a similar experience for the users. Understanding the expectations:The first and foremost tip to follow is to be accurate with the user's needs. After all, the product is to serve the user and it must be in accordance with it. As the Voice User Interfaces need to interact with the users, they must be aware of users' requirements and the principles that govern human communication. Prior to designing, one must be sure about such needs. Let users know what they can do:This is quite easy in graphical interfaces. Whereas, in voice systems, users are not aware of the things they can do. Therefore, at first, the interface must let them know what it offers to them. Ability to interpret:Many times, machines or systems are unable to understand what people say. Humans may speak naturally in their own terms which might be difficult for the system to understand. More and more focus should be on enhancing the ability of interpretation of systems so that they are able to process the request. Conversational:The Interface must feel like an interaction as users find it quite easy to go with an interaction. A way of achieving this can be asking a question and providing various options to have an exact idea of what the user wants. Learning ability:This acts as an important aspect of voice user interfaces. It is quite easy to recognize the voice but systems should be able to learn from the user responses. This makes it easier to process the requests the next time the same user asks for a similar process.